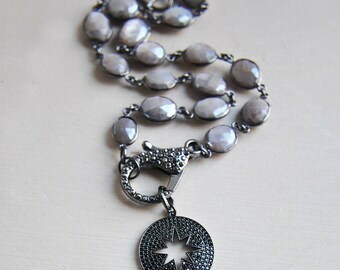 These gorgeous natural moonstones are faceted for a bit of sparkle. 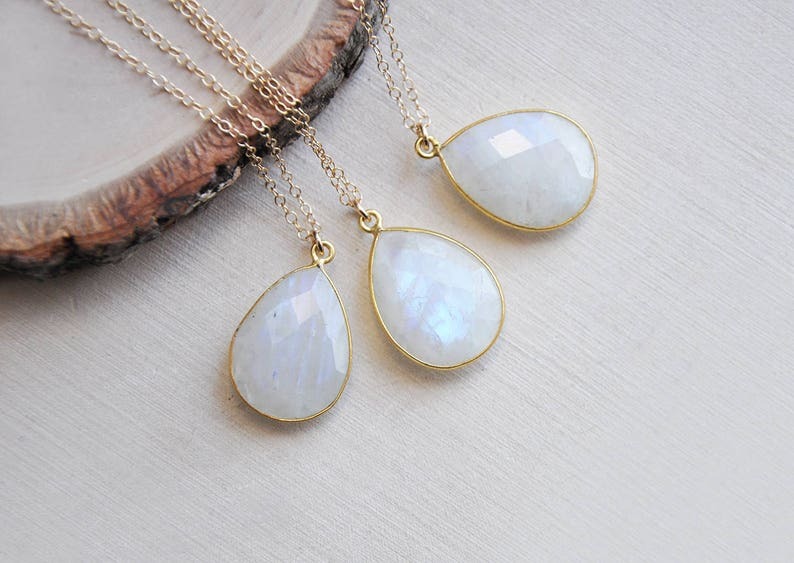 The moonstone teardrops are set inside of gold bezels and suspended from a delicate gold filled chain. 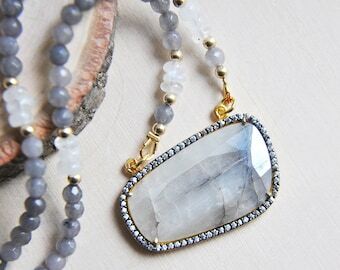 Each moonstone has a pretty blue flash. Select the one you would like to receive from the drop-down menu using the photos in the listing to help make your selection. 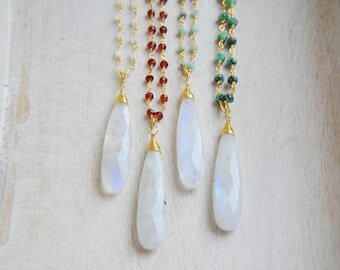 You will receive the exact gold moonstone necklace you select. All of my jewelry arrives suitably gift wrapped ready for giving.